Location is excellent. Times Square is next to it, from there you find the subway. If taxi is needed, ask for Tines Square, that they know. Breakfast was good. Plenty to choose from, chinese and international. Great location close to a lot of shopping centers and close to the subway. One of the staff at the reception, Frances, was very very helpful and considerate. My colleague was on crutches and could not get a cab to go to a nearly restaurant. He walked with her, holding an umbrella over her as it was raining. When she offered him a tip, he very politely refused to take it. He patiently answered our question with a smile. Truly wonderful person. Location was perfect. Staff was nice and friendly. Though aircon not cooling well when we arrived our room last January 4, 2019. Though, maintenance men came over after 20 minutes and was fixed. Thank you for our pleasant stay at Holiday Inn. Very comfortable bed. Size of room perfect for single traveller. Hotel staff were nice. Superb location. 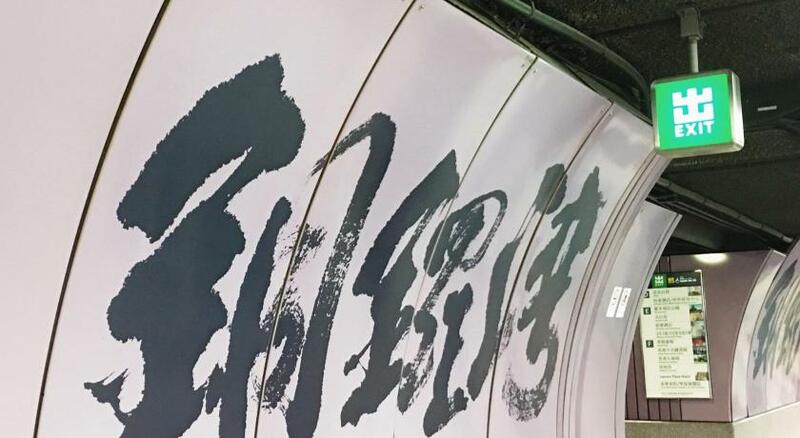 It's located at very near of time square. So very convenient to go anywhere. 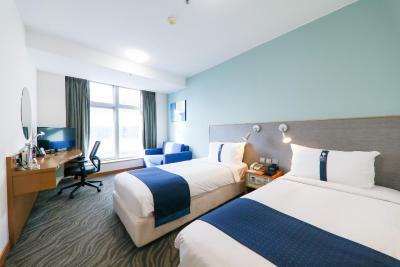 Holiday Inn Express Hong Kong Causeway Bay This rating is a reflection of how the property compares to the industry standard when it comes to price, facilities and services available. It's based on a self-evaluation by the property. Use this rating to help choose your stay! One of our top picks in Hong Kong.Holiday Inn Express Causeway Bay Hong Kong is conveniently located near a major transportation hub, only a 2-minute walk from the Causeway Bay MTR station. 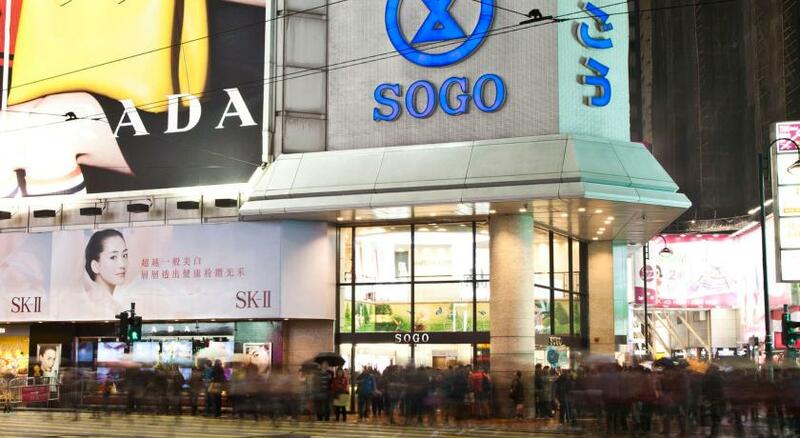 The Times Square is right next door, meanwhile very close to the Hong Kong Jockey Club (Happy Valley Racecourse), while the Sogo Department Store is a few minutes' walk from the hotel. Room rate includes daily Buffet Breakfast and free use of WiFi in every guest room. It is a 10-minute drive from the hotel to the Ocean Park, and a 15-minute drive to Hong Kong’s famous nightlife district, Lan Kwai Fong. It takes about 40 minutes by car to Hong Kong International Airport. All rooms are well-equipped and are fitted with classic wood furnishings, a flat-screen satellite TV, an ergonomic chair and a personal safe. Hotel provides 24-hour front desk services, the staff will assist guests with their currency exchange needs. 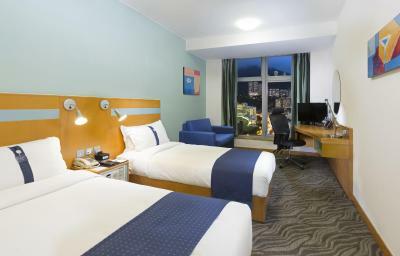 When would you like to stay at Holiday Inn Express Hong Kong Causeway Bay? This nonsmoking room is equipped with an ergonomic chair, a flat-screen satellite TV, a safe, 1 double bed and a sofa bed. Extra bed is not available in this room. The maximum number of guest is 3. The sofa bed can be opened with set up for the third person and supplementary charge will be applied if the third person is over 18 years old. This nonsmoking room is equipped with an ergonomic chair, a flat-screen satellite TV, a safe, 2 single beds and a sofa bed. Extra bed is not available in this room. Overlooking city view of Hong Kong, the room is equipped with a 32-inch TV and an iPod dock. Please note the bedding type and smoking preference cannot be guaranteed as it will be allocated upon arrival. House Rules Holiday Inn Express Hong Kong Causeway Bay takes special requests – add in the next step! Holiday Inn Express Hong Kong Causeway Bay accepts these cards and reserves the right to temporarily hold an amount prior to arrival. Please be noted that shuttle bus is not available in the hotel. There is a public airport bus A11 that departs every 20 minutes. It takes 45 minutes to get to Wanchai Fire Station and walk to Holiday Inn Express Causeway Bay Hong Kong within 10 minutes. Please note that guest is required to present the same credit card used to guarantee the booking when checking in or making payment at the hotel. For free cancellation reservations, the hotel reserves the right to pre-authorize guest's credit card for the first night room rental with 10% service charge included to guarantee your reservation prior to arrival. Kindly note that if a debit card is provided for such purpose, the related amount will be deducted by the bank during the pre-authorizing process. Please note that bookings of more than 8 rooms will be treated as a group reservation. Different policies and additional supplements may apply. Breakfast could of been better, there was a lot of Chinese food and not enough of a continental selection, also the cleanliness of the dining room could be much improved, the walls were very dirty. The lobby is not very comfortable if you arrive early (or leave late) and have to be there for some time - almost nothing to sit on. AC in the room did not work properly: it could not be adjusted and noisy from time to time. The sofa bed very uneven or hard if you sleep on it. Very pleasant and efficient staff: both at the front desk and house keeping (really highly professional). There were some technical issues in the bathroom but they reacted immediately and did the best to solve the problem. The hotel is very closely located to Causeway Bay metro (just walk to Russell street and Times Square). Bus A11 will take you to the airport and to Hong Kong port (if you would like to travel to Macau) and bus 23 to Peak Tram. The breakfast had plenty of choice. 1. Poor dinning room decor and layout. 2. Old worn out lobby. 3. Gym without equipment. Comfortable and quiet room. Good shower. The worst disgusting breakfast in my life. If you are used to cheap smelly chinese restaurants you can get thru ... even the coffee is bad. Noise from the nightclub next door. They charge our credit card higher rates than the agreed rates on Booking.com. The fitness centre was only made up of 2 treadmills & 1 stationary bike. The breakfast is pretty good for HK, bit more suitable for Chinese but they have eggs (boiled and scrambled), tomatoes, cucumber, toast etc breads, even yoghurt (off and on). Cheese and ham not there but bacon and plenty of other stuff.